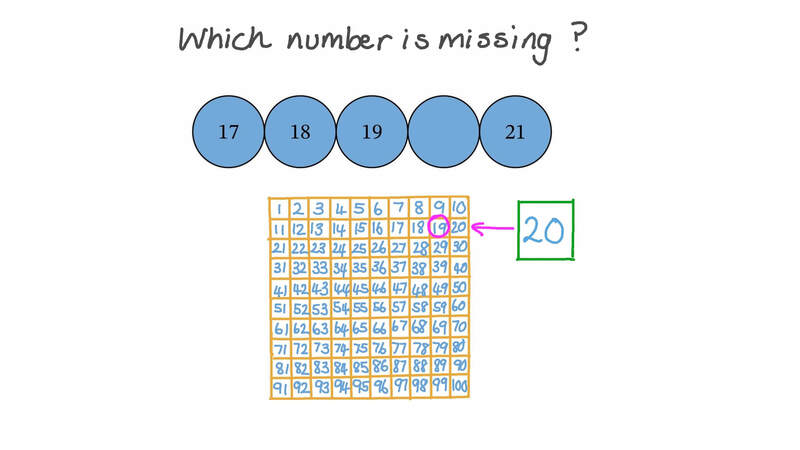 In this lesson, we will learn how to count to 100 in ones from any starting number and complete the missing numbers in a count sequence. 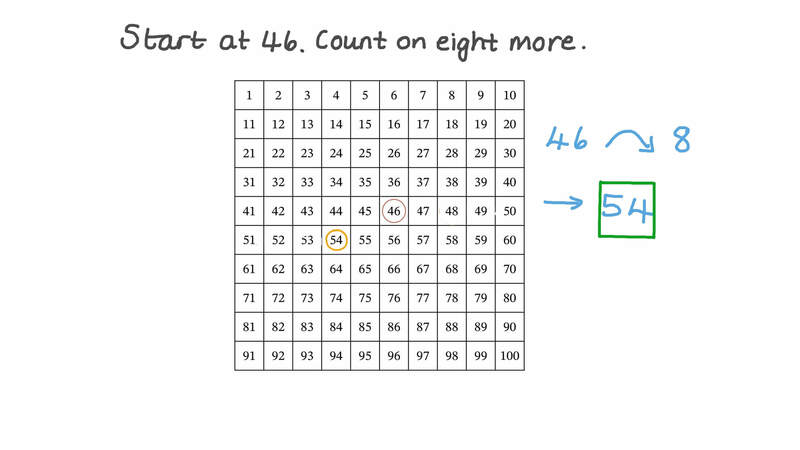 Which number comes straight after 64? Adel and Maged are counting. 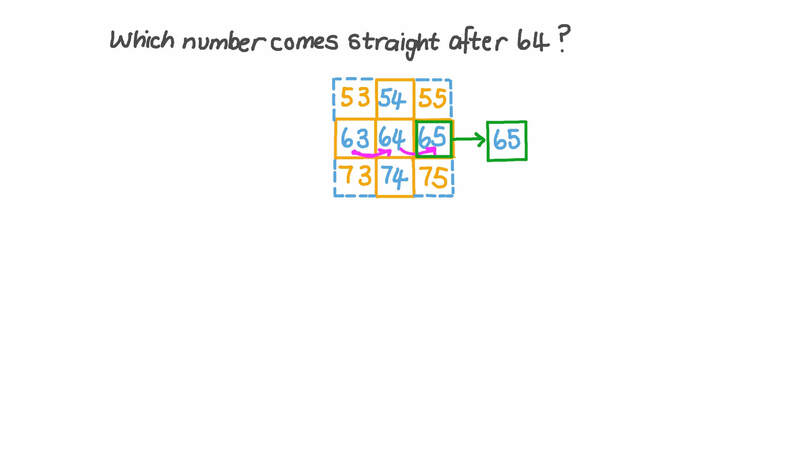 Adel says 16, 17, 18, 19, 30, while Maged says 16, 17, 18, 19, 20. Who is correct? Which number comes just before 96? Which number comes right before 95? Start at 46. Count on eight more. Farida and Amira are counting. Farida says 36, 37, 38, 39, 49, while Amira says 36, 37, 38, 39, 40. Who is correct? Fady starts swimming lessons on July 7th and goes every 10 days. Will he have lessons on July 22nd? Count the number of stars in the given figure.